Welcome to the 2016 Midland Invitational Tournament! 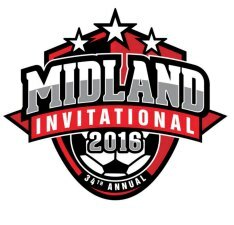 Welcome to the Midland Soccer Club's 34th Annual Midland Invitational Tournament! We are looking forward to your participation in the MIT, which takes place May 6-8, 2016. All games are held at the Midland Soccer Club, 901 Soccer Drive, Midland MI. The 2016 MIT Schedule is out! Click the link to the right. Team rosters must be completed in your application no later than April 24th. All other documentation will be reviewed during pre-tournament check-in the weekend of MIT. Coach/Manager or Team Official must have the following documents ready for pre-tournament check-in at the Midland Soccer Complex registration tent. Check-in/packet pick-up will open Friday evening (May 6th) from 4 to 8 pm and Saturday morning (May 7th) from 7 am to noon. As of January 1, 2016 all sanctioned tournaments must comply with MSYSA concussion policy for coaches, managers and players. We will guarantee no coaching conflicts during the round robin games only for the head coach of 2 teams. For those with 3 or more teams, the tournament staff will do our best to provide no conflicts during round robin games, however, please be aware that we cannot guarantee any conflict greater than 2 teams. We do recommend coaches with 3 or more teams have an assistant coach listed on the roster as well for any conflict game times.